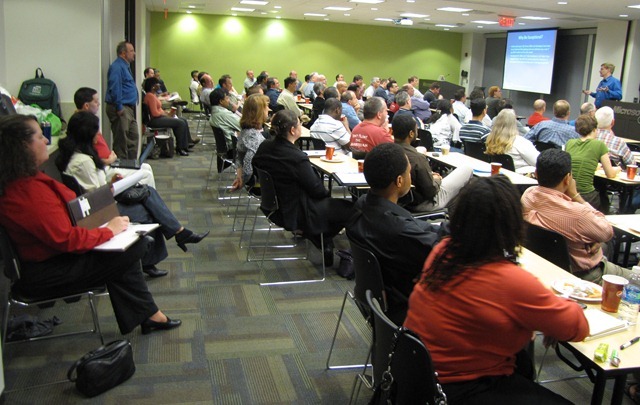 On Thursday, May 20, 2010, I had the opportunity to speak at the North Texas SQL Server Users Group, which is held on the third Thursday of every month at the Microsoft offices in Irving, TX (near Dallas). AlantaMDF SQL Server Users Group. Photo courtesy of www.sqlvariant.com. I have just finished up a three event speaking tour that, which unfortunately, should have been a four event tour, but my flight to Germany (via London) was cancelled, and I was unable to attend European PASS as I had hoped. The Cam river flows through Cambridge, England. At the center of the river you can see a punt (a type of boat) used to navigate the Cam. I must have attended at least 25 different SQL Server and .NET user groups over the past couple of years, and most of them have a familiar format: food and drinks combined with some socializing, a formal presentation, and a prize drawing. I have seen a few other minor variations, but it is hard to tell one user group meeting from another. That is, until I recently spoke at the SQL Server Social Group in Cambridge, England this past month. If you are near Cambridge, England, I will be speaking at the Cambridge SQL Server Users Group on Wednesday, March 24, 2010. After making seven presentations in Australia, I headed to New Zealand where I made four presentations in four cities, on four successive days. Because my schedule was so packed, I only got a couple of days in Auckland (New Zealand’s most populace city) to visit the sites. The photo is of the Auckland Sky Tower, the tallest free-standing building in the Southern Hemisphere, even taller than the Eiffel Tower. It was about a 10 minute walk from my hotel, and I had a chance to go up and see all of Auckland in one fell swoop. I also went sailing (Auckland is known as the “City of Sails”), and to go on a dolphin and whale watch, where we saw hundreds of dolphins, but only one whale. If you really want to see whales, visit the Big Island of Hawaii (where I live) between January and March, and you can see hundreds of Humpback whales, even from the shore (no boat required). 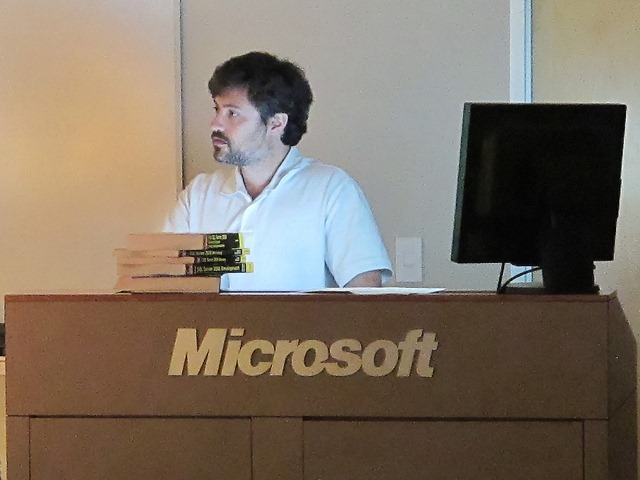 On Tuesday, October 13, I spoke at the Sydney SQL Server Users Group, presenting on “How to Get the Most Out of the SQL Server 2005/2008 Profiler,” the last of my seven presentations made on my Australia speaking tour. The group meets the second Tuesday of each month at the Mechanics School of Arts in downtown Sydney. Most meetings draw 65 or more people. I spoke at the Melbourne SQL Server Users Group on Monday, October 12, 2009. The group meets at lunch time the 2nd Monday of each month in downtown Melbourne. I spoke on Getting the Most Out of the SQL Server 2005/2008 Profiler. The group is hosted by Greg Low, and sponsored by SolidQ Australia.